The rest part is as important as the running. When we think out working out, physical movement is usually involved. However, increasing evidence points to the value of the period after physical movement as essential to helping people reap the full benefits of exercise. Just how important is rest? It was highlighted among the American Council on Exercise's (ACE) "Fitness Trends to Look Out for in 2017." Let's take a closer look at why recovery matters, along with highlighting some common recovery strategies. Many fledgling fitness enthusiasts throw themselves straight into cardio with little regard to the need for recovery across everything from performance to injury prevention. 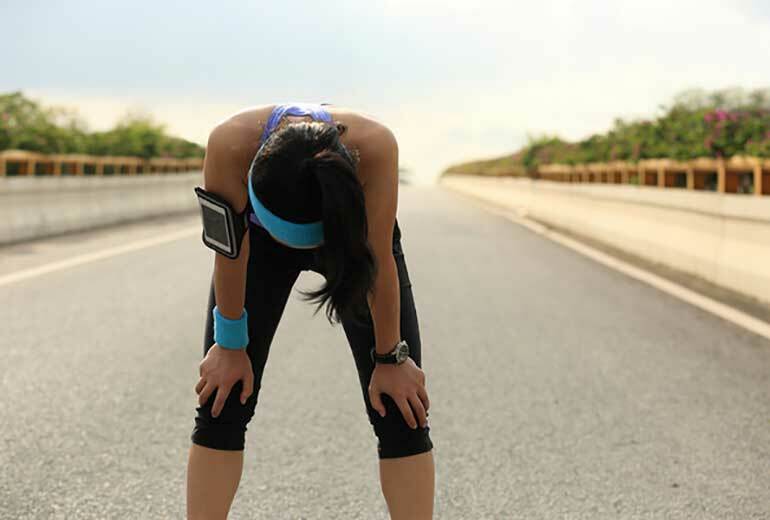 However, a growing body of research reveals that allowing for sufficient recovery between workouts is a critical component in any exercise program. What, specifically, does adequate rest do? Not only does it help the body recover faster, but it also allows for increases in both training volume and intensity while offsetting the risk of overtraining. Specifically, recovery comprises three functions: halting CRP degradation and restoring glycogen levels, regenerating ATP and promoting cellular acidosis, and facilitating the repair of skeletal muscle following a period of high-intensity and resistance exercise. In sum, according to ACE, in supporting "a person's ability to deal with physical, emotional and psychological stressors," recovery is a vital way to keep people strong, healthy and on track toward achieving their personal fitness goals. Now that we've established the value of recovery, let's highlight a few active and passive techniques used by athletes in order to maximize their exercise programs. Supporting both physical and mental health, sleep is an incredibly powerful process. One of the simplest things athletes can do to optimize recovery? Get enough sleep. Most people need between seven to ten hours of sleep a night to be healthy. Feeling recharged when waking up with the sun is one way to tell if you're getting enough. If you're falling short, meanwhile, try getting more daytime fresh air, avoiding artificial lighting and excessive screen time, and designating a cool dark "sleep zone." Paying attention to hydration levels when you're working out is only part of the equation. Drinking enough water in your "off" hours is also essential. If you're looking for an easy way to increase your energy, performance, and overall health, drinking more water before, during and after exercise is particularly effective. Here's a handy rule of thumb; urine should be clear to pale yellow. If it's not, you're likely suffering from dehydration. Food is fuel. Planning ahead, creating a meal plan, and reaching for healthy snacks are all beneficial techniques for eating a "clean," recovery-friendly diet. The value of stretching cannot be overstated. Unfortunately, many exercisers are so eager to start burning calories that they overlook how stretching can help keep them moving and moving better. Self-myofascial release (SMR) using foam rollers, in particular, promotes everything from flexibility to muscle recovery when integrated into a workout plan. If you sit at a desk all day, meanwhile, you may be particularly vulnerable to the dangerous effects of sitting. Periodic stretching throughout the day, choosing an ergonomically correct chair and standing up straight are all ways to support both a healthy posture and recovery. Whether you're dealing with an acute injury or simply looking for relief following a strenuous workout, the alternating use of heat and ice is believed to help flush out lactic acid, reduce post-workout soreness, and ultimately accelerate the recovery process. Compression gear is one of the latest trends in recovery. And while some once wrote it off as a fad, research published in the Journal of Strength and Conditioning Research suggests that wearing compression garments during recovery can lead to better performance and less fatigue. ACE insists that in 2017 and moving forward "how we recover will become as important as how we train." The takeaway for aspiring personal trainers? In this quickly-changing field, staying up to date on recovery, along with the latest science and research on the comprehensive range of fitness topics, is integral to developing a successful personal training career. 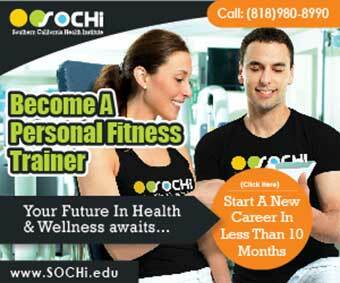 Request information today to start or continue your personal training journey.